Statement of purpose is one of the essential element of your admission application which will describe the admission committee about you and what are the factors which encouraged you to choose that particular career and what are your professional interests and plans. All these things are essential at the time of your admission, but many people do not take it seriously and commit many mistakes while preparing this application. So, be cautious while writing this application for your admission. Some of the sample statements are mentioned here. This statement of purpose must be written in a way that it describes your ability, interest and experience in the field you are choosing and the content should be convincing so that committee will choose you over others. 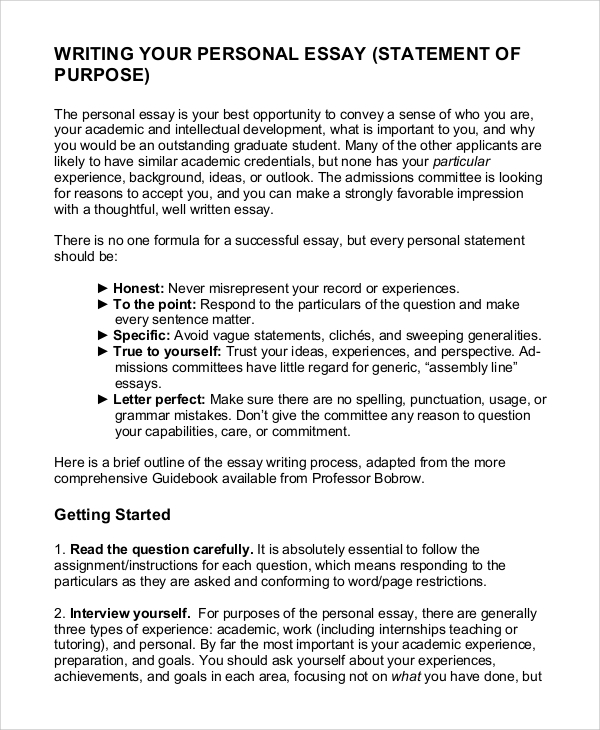 What is the Difference between a Statement of Purpose and a Personal Statement? 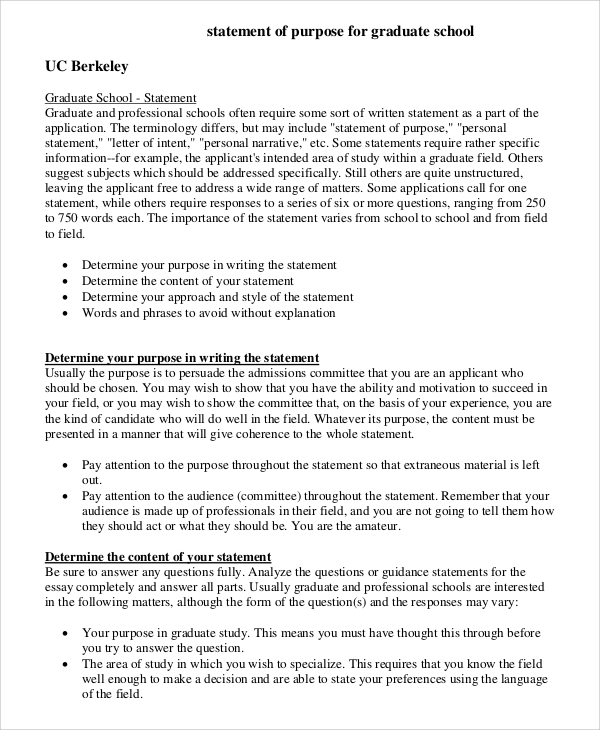 Statement of purpose defines the applicant, his/her experience, education, current work, future goals and plans and what are the factors which are inspiring him/her to join the particular university. 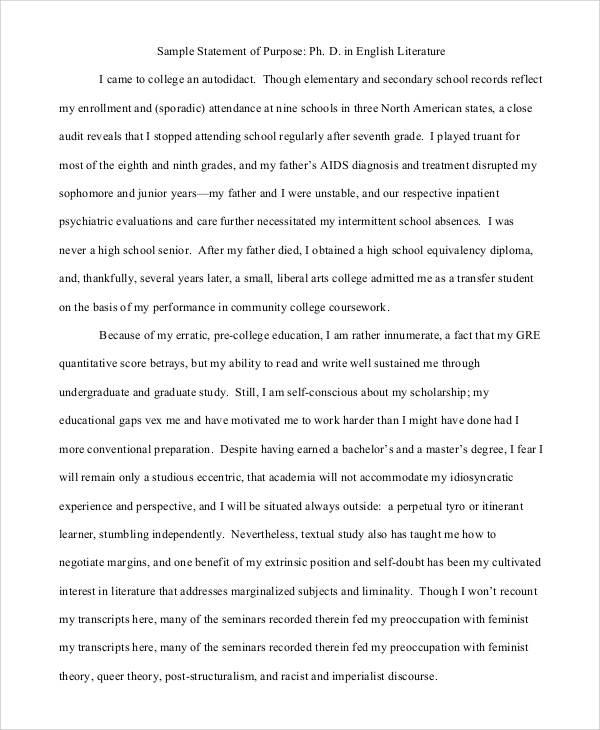 While personal statement contains the information through which the admission committee can decide whether you are perfect for that seat or not, what are the things which make you quite different from others? 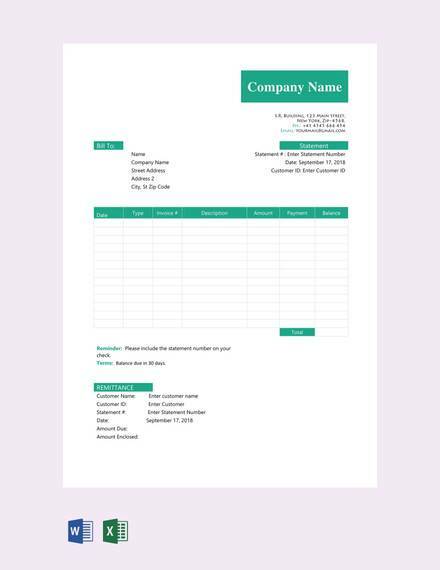 You can also see the sample income statement examples. 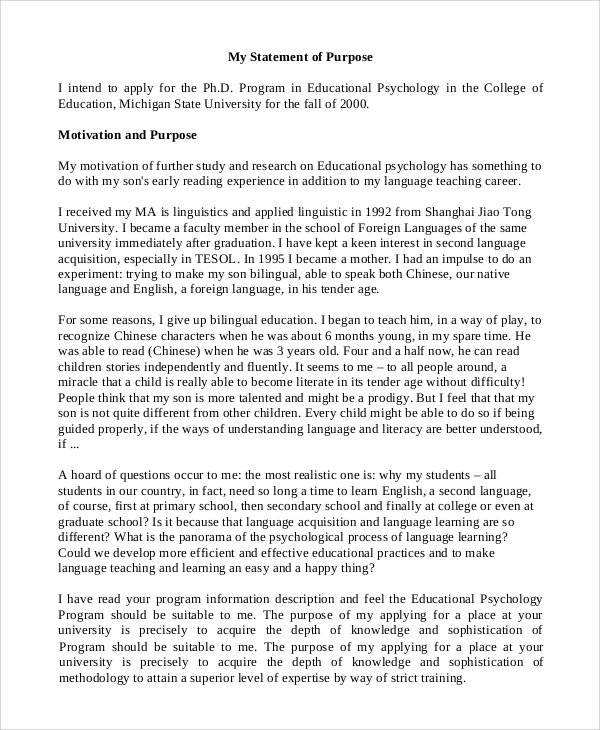 So, do not forget to mention such skills in your personal statement for your selection. Do not get confused between these two things and reduce the chance of your selection in a well-known university to pursue your dreams.You may also see mission statements. As the definition mentioned above is statement of purpose, it is a part of your admission application for graduation, postgraduation, MBA and Ph.D. courses. 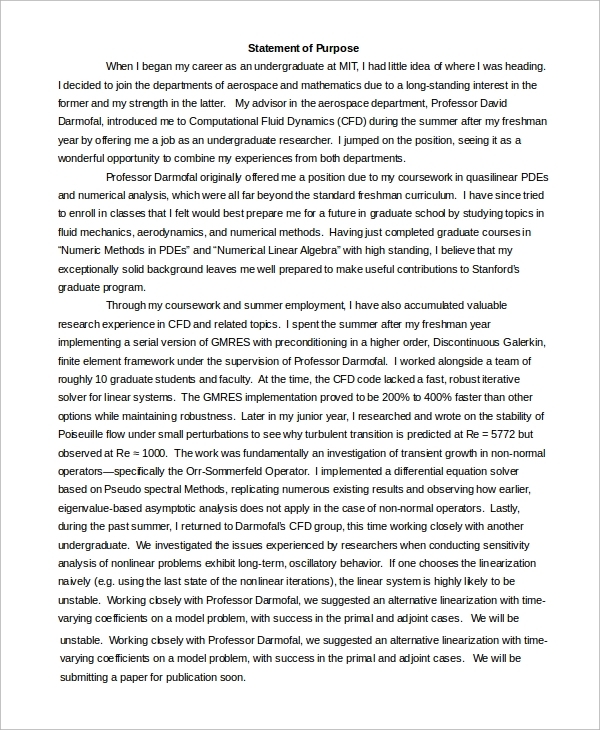 Your interests and inspirations should be involved in the statement and the skills which describe you the best.You may also see written statement samples. 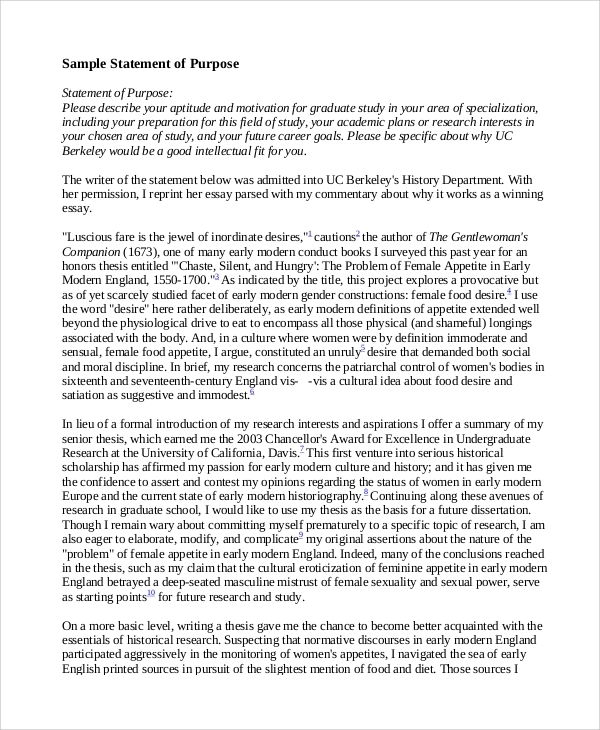 What Should be the Length of a Statement of Purpose? 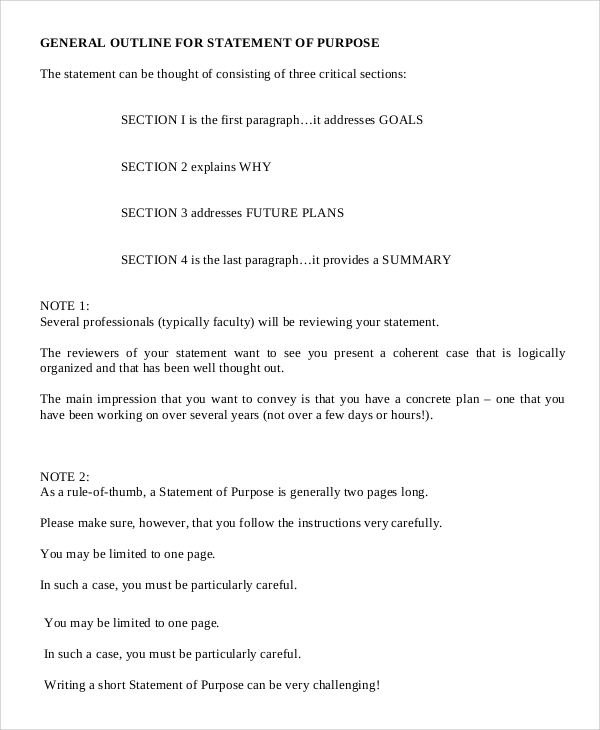 Your statement of purpose should be of maximum two pages. The font size should be 11 or 12, avoid using fonts which are smaller in size as they are hard to read and can irritate the reader. 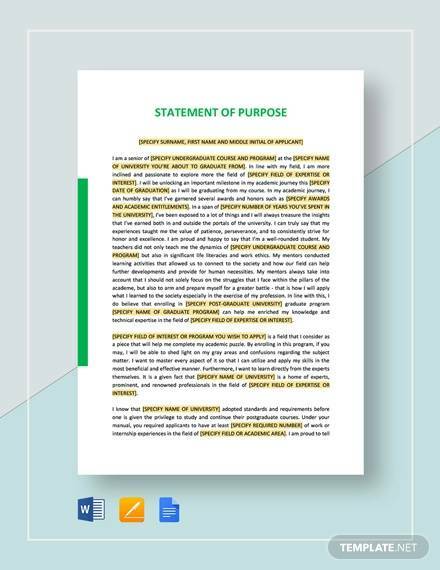 Statement of purpose should be concise but meaningful; all the information should be given in those two pages which are relevant to your admission and try to avoid including the irrelevant information.You may also see statement formats. 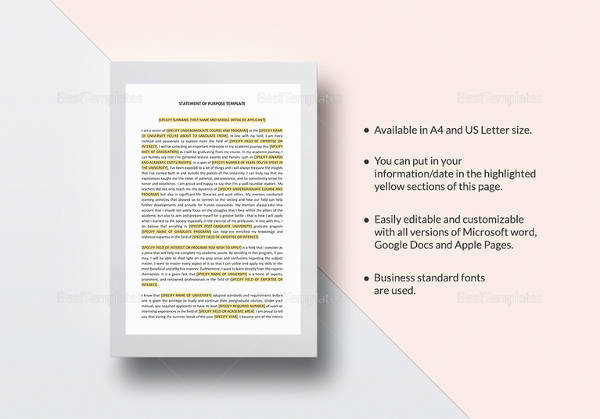 A short purpose statement templates with clarity is much better than a longer one which does not contain any useful information. Keep these things in mind while preparing your statement of purpose as it can be a key towards your success. 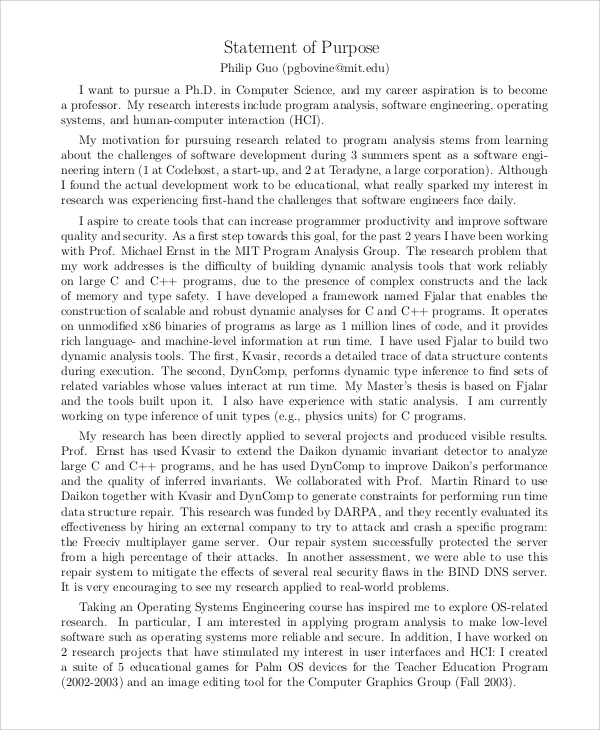 How to Prepare an SOP Format?